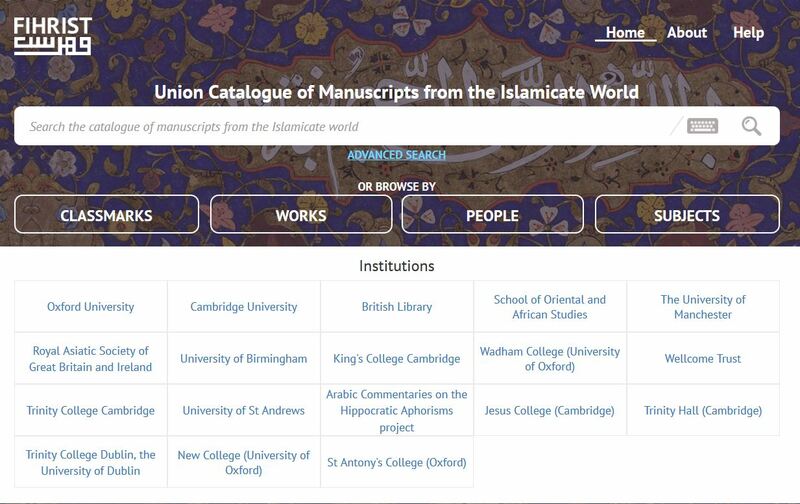 FIHRIST is an evolving union catalogue, for 11,015 Islamic and other Middle Eastern manuscripts. The collective holdings of the contributing Libraries of the UK are of substantial intellectual and cultural significance. All contributing libraries have been selectively collecting manuscripts from all subject areas, and of various geographical origins, dating from the 7th to the 19th century CE. 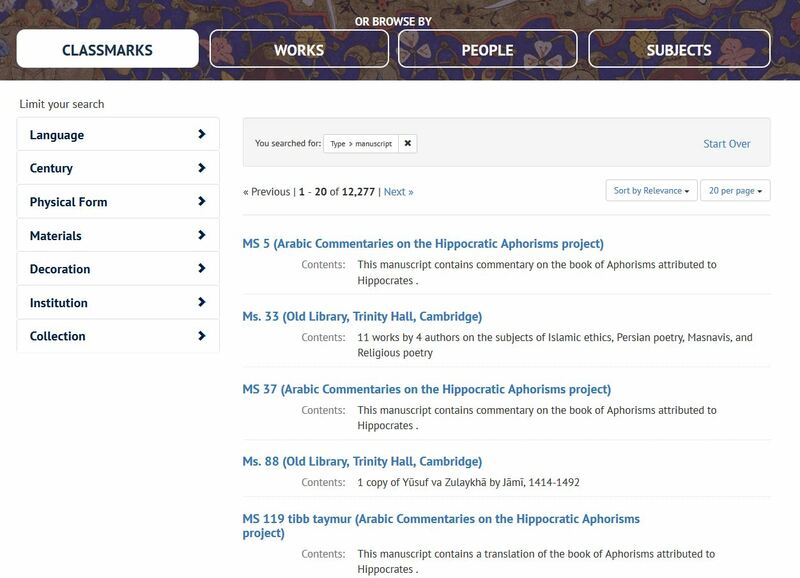 “FIHRIST is a free on-line catalogue for manuscript descriptions. FIHRIST developed from a pilot-project between Oxford & Cambridge to become a UK-wide union catalogue. 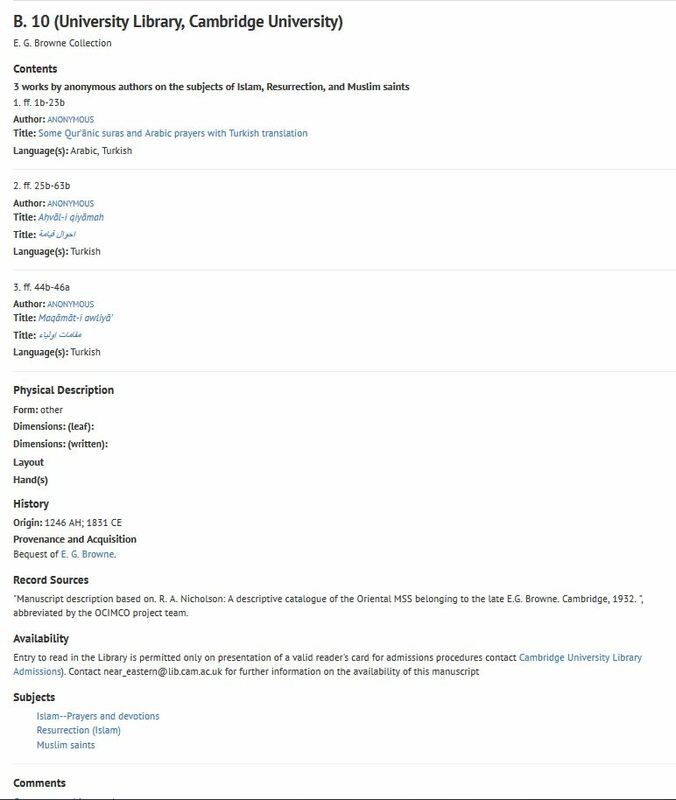 The catalogue is constantly growing in volume, as libraries and research projects are contributing manuscripts descriptions. 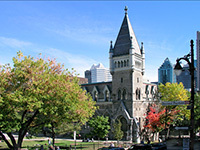 The union catalogue provides basic and advanced search options. 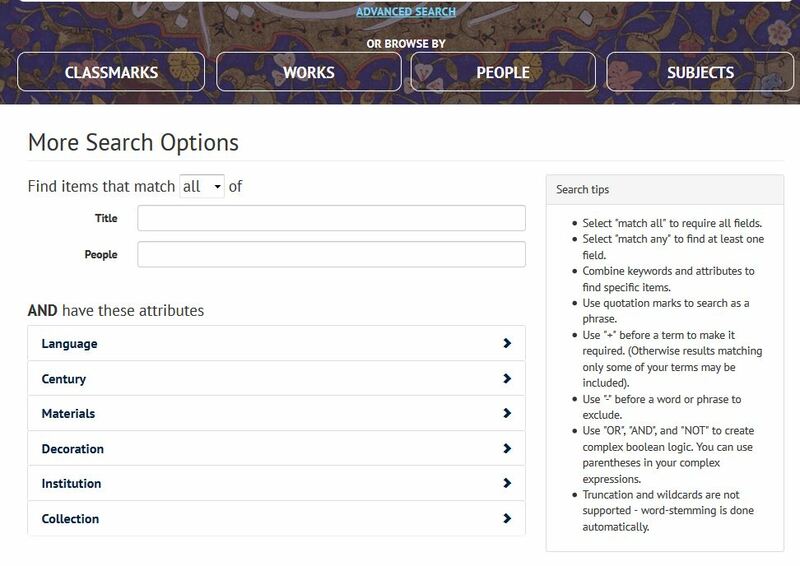 One can search in English, Arabic or Hebrew by using the additional Keyboard in the search box. When using advanced search, more search options and a list of tips are made available to improve the search results. In terms of manuscript availability, “if a digital copy of a works exists on-line, a link is provided and maintained by the institution holding the manuscript. To request digital copies, or contact the institution directly, you may use the field Comment on this record at the bottom of every description.” The level of details provided in each entry varies and are changing over time as research progresses. While browsing, limiters will varies to best suit each category. For instance, if the user chooses to browse the catalog by classmark, limiters such as language, century, physical form, materials, decoration, institution or collection are made available. Whereas if the user chooses to browse by works, institution & language are the available limiters.